One thing that pushes my buttons a lot is the subject of the environment. I’m not an expert but I am concerned about the state of the world today and the effects of climate change on our daily lives and in the lives of future generations. I’m the type of person who would read the latest news for climate change. I’d try to learn about the facts of global warming and climate change when I can and subscribe to several environmental websites to learn more. When it was announced that Leonardo Di Caprio’s film on climate change called Before the Flood was going to be streamed for free, I patiently waited for the release date and watched it online. It was interesting to see the approach made by comparing the artwork The Garden of Earthly Delights by Hieronymous Bosch to the state of the world today. Showing how we started from a paradise to a world being wasted to a future so ominous and dead, the painting does show what we are doing to the world if we don’t put an end to the way we live our lives today. 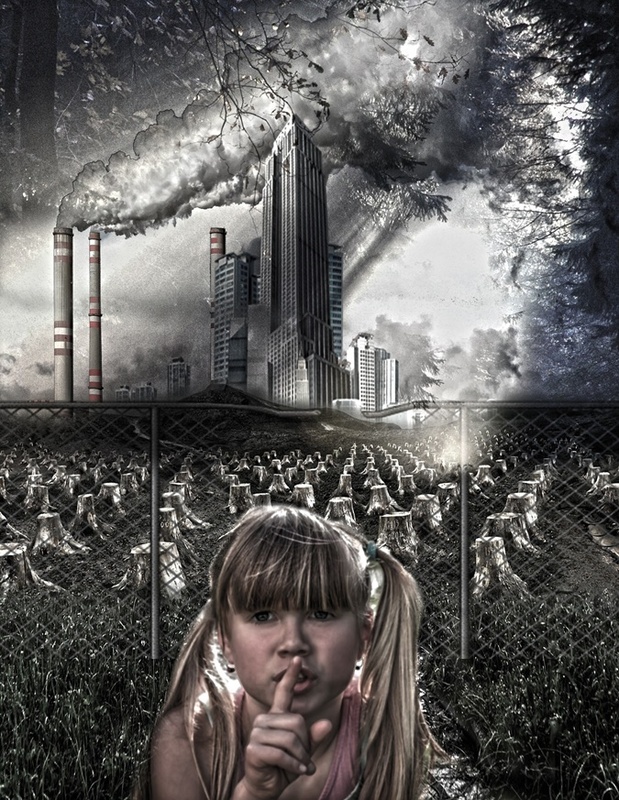 The film painted a clear picture of the damage being done to the world due to the use of fossil fuels and how big business is the reason that the words “climate change” is being ignored by many people in power. It was heartbreaking to see the places that Leonardo Di Caprio visited in Canada, Sumatra, India and in the North Pole and how climate change and man-made actions have changed the environment radically in those areas. It was inspiring to see people who were acting and doing their part and admitting that it was just not enough if the people in power do not do their part. The Mayor from Florida who was raising roads and building drainage for flood control admitted there is only so much he can do since his Governor and Senator do not believe in climate change. The President of Kiribati spoke of the reality that their country is sinking and he has even adopted a policy of migratio. He invested in land in another country where his people can migrate if they choose to do so because he wants his people to have a future. To make that effort means that the effect of climate change in his country is already very evident and migration is an option they would have to take. I particularly loved the conversation with the outspoken woman from India who told Leo to that we must face facts and that the US consumption is really putting a hole in the planet and that it is the action of the US that would mean a lot for other countries to follow suit. A part of the film that caught my attention was the conversation Leo had with Elon Musk of Tesla on how much would it take to power the world on sustainable energy. He said that it would take a hundred Gigafactories (producing batteries that can be charged by solar power to power villages, cities, etc) -- the tone of Di Caprio’s voice went up in surprise at how simple it sounds. It does make you think why is this not being supported when it is such a big solution to the problem at hand? Yes, a Gigafactory may be expensive but surely it is not as expensive as the cost of or the damage being made on the world to harvest oil and natural gas or burn coal. It really all goes back to how big business, the ones that support politicians, lobby against it. Why can’t these big companies work with Tesla and make their own Gigafactories instead? Why can’t we as voters do what we can to demand that our leaders take a stand for the environment and do something to make things better? It was also inspiring to watch the part with Dr. Piers Sellers of NASA. It’s inspiring how this man, who has stage 4 cancer, is doing his part to inform people about climate change. It shows how passionate he is about this and for me, it just proves how real this is for a man near death to warn people of what is happening. He said that we can reverse the damage done to the atmosphere. He said that if we were to stop now, the heat will continue for a while but after that the earth will start to heal itself. There is hope! Hope is the big element about this film that I loved the most. I’ve seen several documentaries about climate change and they’ve all been about doom and gloom but this one did not do that. It didn’t just show the damage that has been done but it also gets into the heart of what can be done to change it and the hope that we still have that we can make things better. Here’s to hoping that a lot of people watched the documentary and were affected by it and will do their part to help the environment. I hope that things do change for the better in the future.